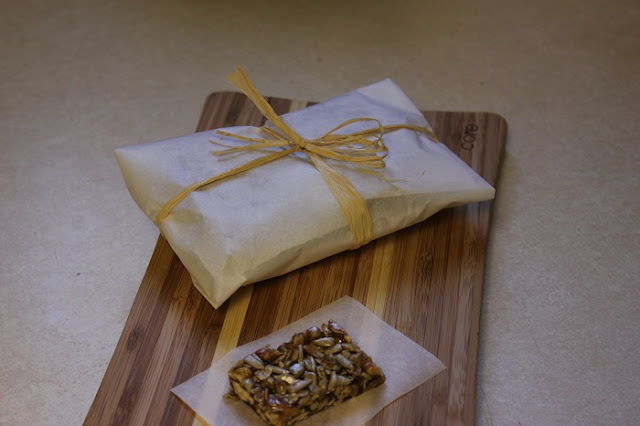 Walnuts and sunflower seeds honey bar... What a treat! Today we are talking fats. Oils, batter, nuts, avocado (although botanically it's a berry, a big one), and seeds. My favorite oils are olive, walnut, hemp and sunflower. And I use it just a little, a drizzle, a spray puff (I use spritzer), a teaspoon when cooking. I am not talking about moderation here. Rather enjoyable minimization, and for that I use a high quality oils like Greek, Tuscan, French. Instead of frying I bake my food with either wine, lemon juice, or vegetable stock. Eggplants, cut in half, and baked with a white wine have a delicious taste, creamy texture, and a thin golden brown crust on the cut. 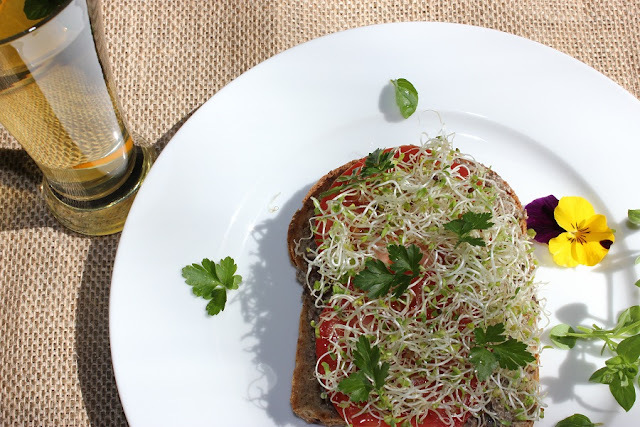 Lunch: open sandwich with mushroom caviar, tomatoes, sprouts and parsley. Unsweetened green tea with lemon and mint. I do love avocado from time to time. I use it more for my kale dressing, and about once a week for a sandwich. 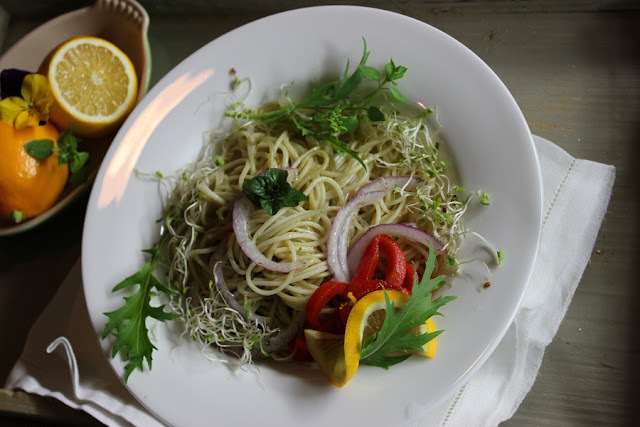 Dinner: angel hair Jerusalem artichoke pasta with sprouts, roasted red pepper, and drizzle of Greek olive oil. And last but not list is my all time favorite: sunflower seeds. I was addicted to sunflower seeds, I couldn't stop eating it when I had them at home. I couldn't control myself when I had sunflower butter: one jar was often gone the same day I made it (yes, I prefer homemade sunflower butter). Let me tell you a secret: if I am left on an exile island with a bag of sunflower seeds I would consider it a luxury vacations! Yep, that's how much I love sunflower seeds! 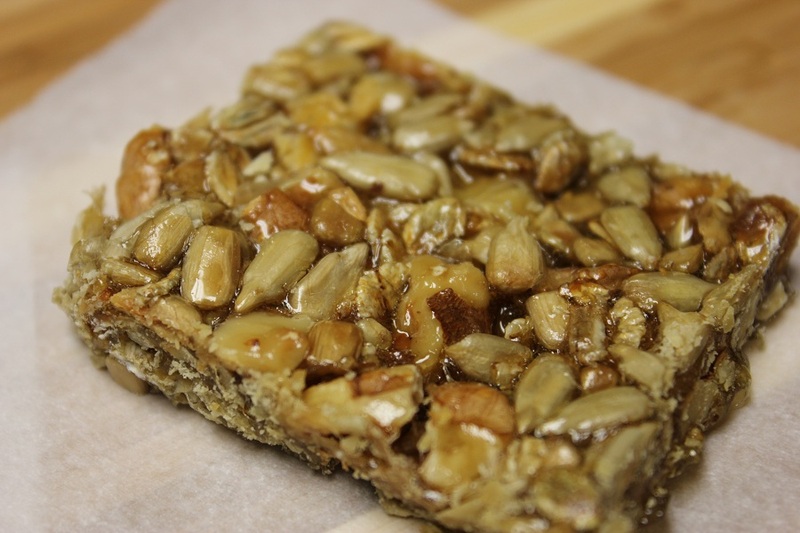 Although 100 gr (3.4oz) of sunflower seeds have 10 g of dietary fiber (not bad, ha?!) and 22 g of protein along with other vitamins and nutrients, it is also a high in calories, 570 kcal per same 100 grams, which is a lot! I was nuts about those seeds! It took me a good five to six months to finally find a piece with the sunflower seeds, or rather with not having the sunflower seeds. I do buy the sunflower seeds from time to time, but the big craving is gone, so now I can manage having it at home. It's a big victory, if you ask me! I made this super delicious candy as a treat. I shared it with some friends too. How do you handle your cravings? Ten years ago I was not aware of what is good or bad for my body.Gradually I learnt to improve my food habits and eat well balanced diet. Some of the foods which I love to eat to curb my cravings is walnuts, sunflower seeds, dark chocolate and of course chips. I take out in a small bowl and enjoy every chip. I've never been on diet, but i agree that we need a healty life style. Even if your recipes are vegetarian they all look yummy and i'm sure they have a great taste. Thanks you Danutza! All my vegetarian recipes can be used with a portion of meat, if someone wants. Wow, this looks like the type of bar that you would pay a fortune for - how fun to be able to make them at home! Thank you! It is easy to make. I just have to remember the recipe and post it! Yummy your pasta and Dessert looks so so good. Um that honey bar....I kind of need that right now. YUM. I definitely agree that good fats are very important as well as a good balance of protein and un-processed carbs. All about balance. Yep, you are right: it's all about Balance. Seriously, looks delicious to me. Those treats look awesome. Love nuts and seeds. Are you sharing the recipe? Hi Marina, Greetings from Costa Rica, I found you through Olguis from the blog RECETAS AL INSTANTE. I always like to meet new people and from other countries. I really like the Walnuts and sunflower seeds honey bar and your and specially the open sandwich with mushroom caviar, tomatoes, sprouts and parsley that you made. I like you blog and I’m stying here so i can learn more about you. Hugs and many blessings to you. Thank you Walkiria. Welcome and enjoy! I love walnuts too, they are one of my favorite nuts! Wow! I am not alone?! how cool! Do you take yoga with Bryan?! That's what he always says: everything in moderation, including moderation...:) Thanks Michael! Oh Marina, I find myself eating all the time these days. I do not know how to stop this. I love nuts in general and I like the ones that are richer in calories more... :-( Let's hope that I will manage to put an end to this. So nice stopping by your blog and reading many of your posts. Lovely place you have here! So nice meeting you! loving the series marina.. this is informative & has got me thinking..That a positive step for me now! Thank you Rasi. I am glad it has positive effect on you. I love sunflower seeds also. I use in salads and cookies-)) I like to make some healthy bars! Marina, I too consider butter one of the good fats IF it's organic, pastured, etc. Nuts and seeds are definitely good fats. I wish some of the people who are living on diet soda and diet frozen meals to lose weight would at least add a handful of nuts to their daily diet! Thank you Jean. I absolutely agree with you on that.